Since joining the Premier Development League in 2003, more than 60 Ocean City Nor'easters players have moved on to play professionally. Check out the complete list here. There are dozens of former Ocean City Nor'easters who are playing professionally both across North America and overseas. There was at least one Ocean City alum represented in every championship game in the United States in 2017, another was taken with the first pick of the MLS Expansion Draft, and another returned stateside, retired, and watched his family's horse win the Kentucky Derby. It's been a fun year. With MLS, the USL and the NASL wrapping up the 2017 season, and the American indoor season under way, we take a look back at how our Ocean City alums performed at the next level (in alphabetical order). After his college career wrapped up at Quinnipiac, Angoitia went home to Spain in search of a pro contract. He played for a couple of Spanish clubs, and later ended up returning stateside where he played for another PDL team, FC Tucson. His performance led him to signing with Rio Grande Valley FC Toros of the USL. The Toros had a very successful inaugural season in 2016, finishing in second place in the Western Conference. Prior to the 2017 season, Angoitia edged out a few other goalkeepers (including a fellow Ocean City alum Michael Kirk) to win the starting job. This year has not been as successful for the Toros, falling just short of qualifying for the USL Cup Playoffs with an 11th place finish in the Western Conference. Angoitia started 14 games and earned two clean sheets and led the team in saves with 40. Araujo showed a lot of promise in his rookie season with San Antonio FC in 2016, but it was cut short due to a season-ending ACL injury. San Antonio FC saw his promise and re-signed him for a second season. After missing out on the playoffs in the club’s inaugural season last year, it was a massive turnaround in 2017 as San Antonio finished tied for the second-best record in the USL (17-4-11). Araujo finished the season with seven games played (one start). Last year, Bibbs played in 12 games for the Bethlehem Steel, but he decided to shift his focus to his education in 2017. Bibbs has accepted a role on the coaching staff at his alma matar Syracuse University where he is working on finishing his degree. 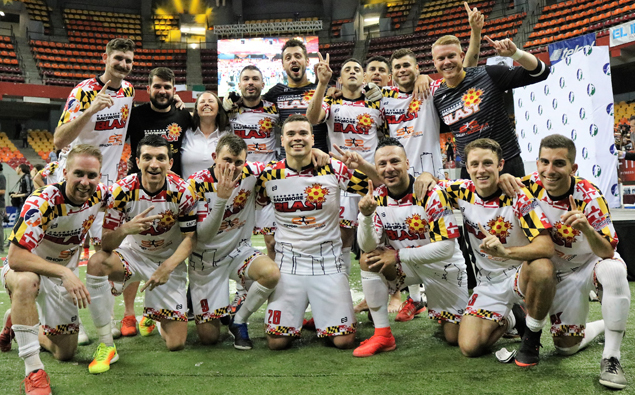 Nate Bourdeau has shifted his focus to indoor soccer as he plays his sixth season with the Syracuse Silver Knights of the Major Arena Soccer League (MASL). He scored seven goals and four assists in 19 games last year and in the 2017/18 season, he’s off to a good start with two goals and one assist in the first five games. To date, his feud with LeBron James has yet to be revived on social media. 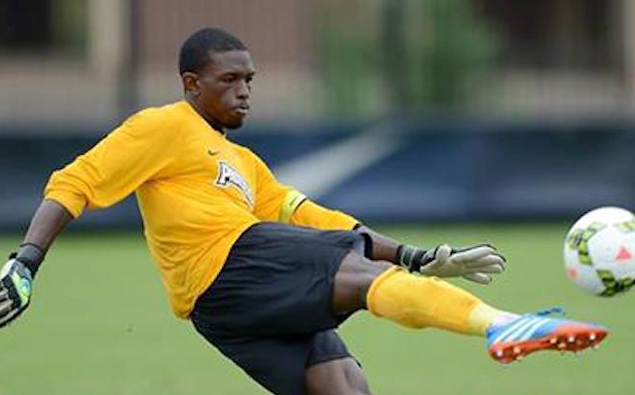 After a strong season with the Harrisburg City Islanders the year before, Broome was signed by the Pittsburgh Riverhounds of the USL, a team the Nor’easters have a developmental relationship with. Broome was splitting time with Trey Mitchell in Pittsburgh but in a stroke of bad luck, both Mitchell and Broome suffered season-ending injuries. In six games, Broome earned two shutouts and also ran away with the USL Save of the Month award for June (SEE BELOW). His triple save against the Tampa Bay Rowdies was the clear winner and advanced to the Quarterfinals of the fan voting for the USL Save of the Year award. Broome also continues to represent the country of Barbados at the international level, most recently at the Windwards Island Football Tournament in Granada back in July. 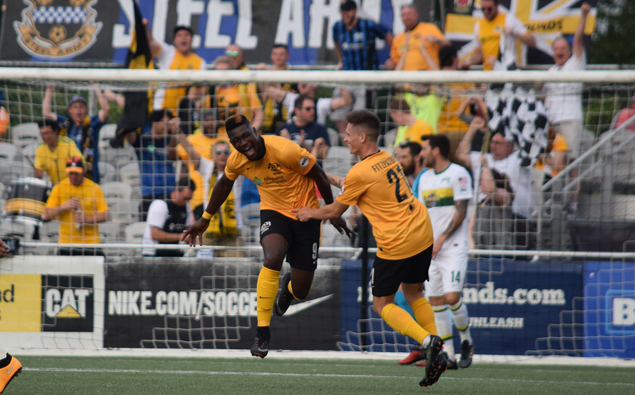 After the 2017 season, Broome announced that he would not be returning to the Riverhounds in 2018 and would be exploring opportunities elsewhere as a free agent. After playing for a number of teams in his home country of Israel, Bublil has shifted his focus to coaching. Bublil played for Bnei Yehuda Tel Aviv FC, Maccabi Sha'arayim FC, and most recently Maccabi Kabilio Jaffa. Now, the former Drexel University standout is an assistant coach with Maccabi Herzilya FC, a second-tier club. After signing with Arizona United of the USL the year before, Dennis found a new home with Miami FC of the NASL in 2016. Unfortunately, this year, his second season with the club, never got off the ground. Dennis didn’t make it on to the field as he dealt with injuries. After a stellar career at Loyola-Chicago, Dobrowolski signed his first professional contract with the USL's Louisville City FC during the 2016 season. He made just two appearances, including one in a USL Semifinal playoff game as he backed up starter Gregory Ranjitsinghty. New York won the shootout 4-3 to advance to the USL Final. This year, Dobrowolski returned as Ranjitsingh’s backup and he played in 12 games this year (11 starts), logged more than 1,000 minutes and earning three shutouts. 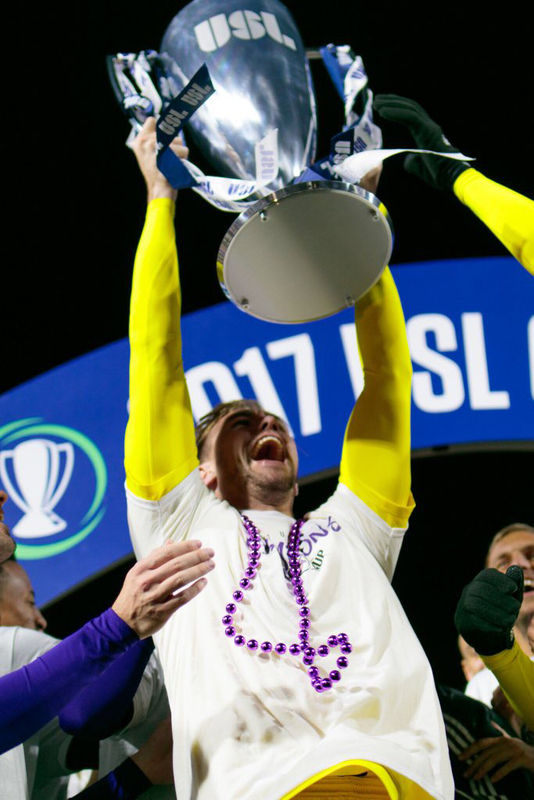 Louisville City FC would end up winning the USL championship, defeating the New York Red Bulls II, the club that eliminated them in last year’s final four. Out of the more than 60 Ocean City players who have moved on to play professionally, Tony Donatelli has by far won the most trophies. 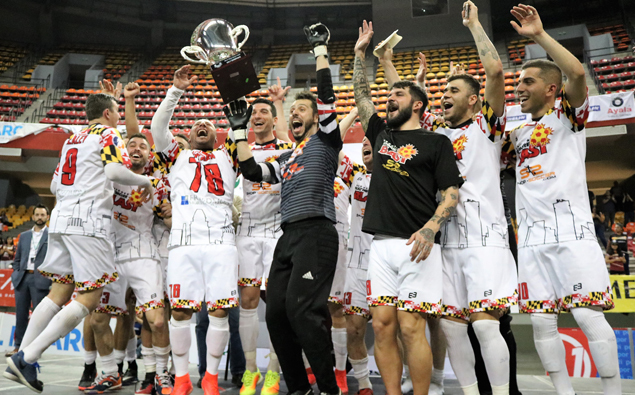 After one of his best individual seasons of his career, he helped the Baltimore Blast win the Major Arena Soccer League (MASL) championship for the second year in a row. He led the team in scoring last year (17 goals, 17 assists) and scored the championship-winning goal and what did he do for an encore? He dished out 23 assists, third-best in the MASL and helped the Blast comeback to win the league title on the road. For Donatelli, the former Temple University player has now won seven professional championships. Four of them with indoor teams (2007 Philadelphia Kixx, 2012/13 Baltimore Blast, 2015/16 Baltimore Blast, 2016/17 Baltimore Blast) and the other three came outdoors in the United Soccer League (2006 Vancouver Whitecaps, 2009 Montreal Impact, 2012 Charleston Battery). His 2017/18 indoor season with the Blast is off to another great start as Donatelli is leading the team in scoring with 12 goals and eight assists (20 points) in the first eight games of the season. His 20 points is currently tied for fifth in the league. The Blast, who are aiming for their third straight league title are currently in first place in the Eastern Conference with a 6-2 record. His success in the MASL also led to Donatelli earning his first caps with the U.S. National Futsal Team. After a career that saw him play professionally from coast to coast in the United States and took him overseas, Lumberton, NJ native Ryan Finley has decided to retire. Finley, who remains the youngest player to ever score a goal for the Nor’easters (17 years, 47 days) and the highest MLS draft pick (9th overall by the Columbus Crew) in club history, played for four different pro clubs in the United States from 2013-17. After being drafted by the Columbus Crew, he was loaned to the Dayton Dutch Lions (USL) before signing with Chivas USA (MLS). He spent the 2015 season with the Charlotte Independence (USL) before signing with Swedish club Angelholms FF. Unfortunately, the club experienced a financial crisis and despite being the club’s leading scorer, he was one of the players who had to be released mid-season. He later signed with Naestved BK of the Danish First Division, a team that former Ocean City goalkeeper Tunde Ogunbiyi had helped earn promotion from the Second Division. After a season in Denmark, he returned to Sweden to play for IFK Varnamo, which would be his final stop of his busy professional career. 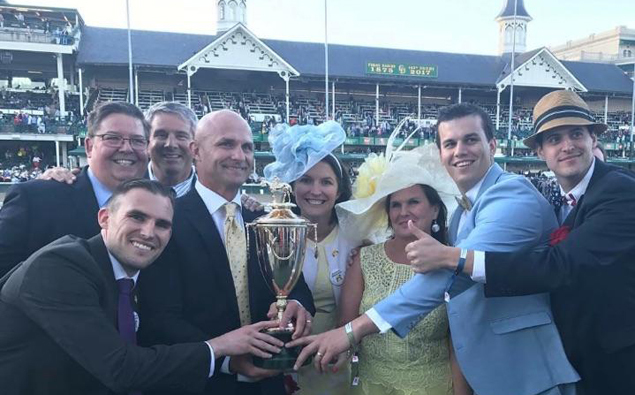 Off the field, it was also a banner year for Finley and his family as their horse Always Dreaming won the Kentucky Derby. Hines-Ike was drafted by the Montreal Impact of Major League Soccer, but turned down the offer to sign with Orebro SK in the top division of Sweden. (Allsvenskan). After playing in 17 games in his first season (five starts), the defender from Denver has been a regular in the Orebro lineup. He started all 29 games that he played in this year, scoring one goal and helping Orebro stay up in the Allsvenskan with an 11th place finish. In his first season as a pro, Howe solidified himself as a regular in the Saint Louis FC (USL) starting lineup, playing for his head coach, former U.S. international Preki. Howe played in 18 regular season games, including a pair of Lamar Hunt US Open Cup road wins (vs. FC Wichita of the NPSL in Round 1 and the Michigan Bucks of the PDL in Round 2) where he started and played every minute. Howe also scored a pair of goals during the regular season which tied him for third on the team. Ketterer joined fellow goalkeeper Eric Klenofsky as the only two Ocean City alums selected in the 2017 MLS SuperDraft. Ketterer was taken in the Fourth Round (71st overall) by the Columbus Crew. The Bradley University graduate did not see any senior team action in his inaugural MLS season as he backed up U.S. youth international Zack Steffen, who had a breakout season. Kirk went undrafted in the MLS SuperDraft but earned a contract with one of the MLS reserve teams in the United Soccer League. Rio Grande Valley FC Toros, the reserve team of the Houston Dynamo. The Toros signed him where he joined another Ocean City alum Borja Angoitia on the roster. Kirk was unable to see any senior team action this year. 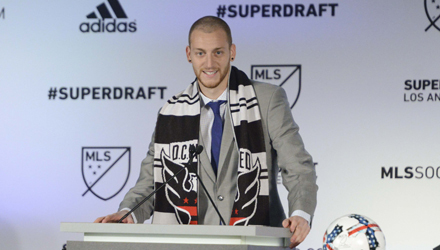 Klenofsky was drafted by D.C. United in the Second Round of the 2017 MLS SuperDraft and is now a part of one of the most talented goalkeeper rosters in the league. United features U.S. international Bill Hamid as the starter, with veteran Steve Clark as the backup and Travis Worra, who played well when Hamid was injured last season. With limited minutes available, Klenofsky was loaned to the Richmond Kickers of the USL. The Lincoln Park, N.J. native only appeared in one league match, a 1-0 home loss to Louisville City FC. The former Monmouth star played well, making five saves and the only goal that was scored came from a penalty kick. It has been a change of scenery for Duke LaCroix. After three seasons with Indy Eleven where the club won the NASL Spring championship and he won the 2016 NASL Goal of the Year award, LaCroix took his talents to the West Coast. LaCroix signed with Orange County SC (USL) and was off to a great start, scoring a pair of goals in his first five games with his new club. However, he tore his ACL which ended his season prematurely. Maholo moved to Hong Kong for work in June of 2011, and while he was working his day job, a friend introduced him to Hong Kong FC. It is known as one of the oldest sporting clubs in Hong Kong. He took part in a month-long trial and eventually made the team. He would be the starter for six years after helping the club earn promotion to the Hong Kong Premier League. After the club was relegated the next season, he took on a new challenge by signing with first division club Kwung Tong FA. So much of being a goalkeeper is waiting for, and making the most of, your opportunities. 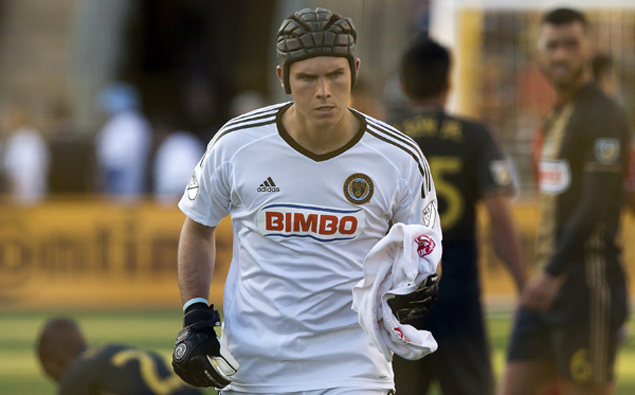 In 2015, in his first year with the Philadelphia Union (MLS), he made 11 starts in league play and carried the Union to the US Open Cup Final. Last year, Philadelphia’s starter Andre Blake, who was the 2016 MLS Goalkeeper of the Year, stayed healthy. Therefore, the majority of the minutes McCarthy earned were with the Union’s USL affiliate Bethlehem Steel FC. This year, Blake dealt with injury issues and McCarthy has stepped in to make eight starts. The former La Salle Explorer also has made three starts for the Bethlehem Steel. McCarthy also won the MLS Save of the Week award. McLaws was the only player on the City Islanders roster to play in all 30 games during the 2016 season. His 2,699 minutes played left him one minute short of joining two other players as the only ones in the league to play every minute of every game. This year, he started 26 of the 27 games he played in as Harrisburg fell seven points shy of the final Eastern Conference playoff spot. After the season, it was announced that McLaws has signed with his hometown team, the Oklahoma City Energy FC for the 2018 season. Miller has been a mainstay in the NCFC defense during the 2017 Spring and Fall seasons. He accumulated 25 appearances, all of which were starts, and was only subbed off twice during the 2017 campaign. On the defensive side of the ball, Miller has made many key interceptions and clearances to get the defense out of trouble. On the offensive side of the ball, Miller scored a beautiful header against the Houston Dynamo in the U.S. Open Cup, which Houston scraped out with a 3-2 win over NCFC on June 14. Miller scored four goals and added three assists to his name this season, two of those assists came in the 3-2 win over Miami FC on Aug. 5. His third assist came on April 15 in the 3-1 thrashing of FC Edmonton. Miller helped NCFC finish third in the Fall season, which was enough to qualify them for the Soccer Bowl playoffs, but they lost in the Semifinals to the San Francisco Deltas, 1-0. After the season, North Carolina FC announced that the club would be leaving the NASL to join the USL. After being a part of the Sounders team that won MLS Cup last year, Miller split time between being a backup for the Sounders MLS team and starting for the team’s USL affiliate, Sounders 2. In 2017, the Sounders made it back to the MLS Cup Final and needed Miller's help to do it. During the regular season, the Northwestern graduate made just one appearance for the MLS side in league play and it was a thriller. D.C. United had a 3-0 lead in the second half and the Sounders scored four unanswered goals to complete the biggest comeback in MLS history. Miller also started two U.S. Open Cup games, helping Seattle beat the Portland Timbers 2-1, but falling short in the Fifth Round to the San Jose Earthquakes. So after just three competitive appearances for the senior team, the Woodbury, NJ native stepped in for injured starter Stephan Frei (last year’s MLS Cup MVP) in the first leg of the Western Conference Finals. 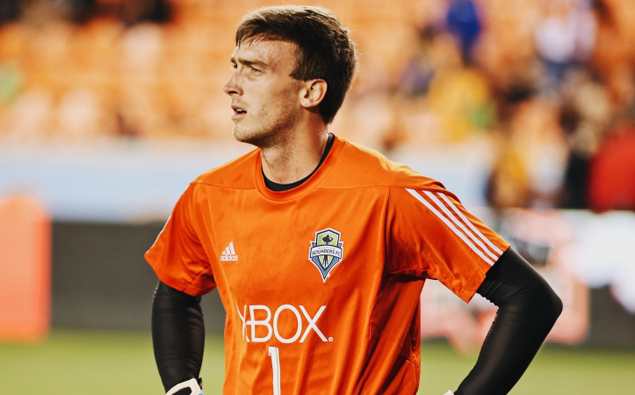 Miller made three saves and earned a clean sheet to help the Sounders win 2-0. The win gave Seattle its first-ever road win at Houston and the fact that it came in a playoff series was even bigger. Frei would return in the second leg, which Seattle won 3-0 to advance 5-0 on aggregate. However, in a rematch of last year’s MLS Cup Final, Toronto FC got their revenge, winning 2-0 in front of their home fans. For the Sounders 2, Miller started 22 games, earning three clean sheets but Seattle fell short of qualifying for the USL Cup playoffs. Miller’s performance with the senior team and the USL team clearly caught the attention of scouts from MLS expansion side Los Angeles FC. They selected Miller with the first pick of the Expansion Draft as the club will begin its inaugural season in the league next spring. After Murrell’s contract ran out with the Pittsburgh Riverhounds, the Syracuse alum signed with USL expansion team Reno 1868 FC. The inaugural season for Reno was a historic one. The club finished as the highest scoring team in USL history with 75 goals. Murrell contributed three of those goals while starting 27 of the 28 games while helping the club earn the fourth-best record in the league (17-7-8) and finishing with the USL’s highest goal difference with a plus-36. The club recently announced that Murrell has been re-signed for the 2018 season. After spending two seasons with the Jacksonville Armada of the NASL, Perea took his game to the USL where he joined a pair of Ocean City alums when he signed with the Rio Grande Valley FC Toros. Unfortunately, he had limited playing time with the Toros in 2017, appearing in just three games. After a breakout rookie season with the Harrisburg City Islanders in 2015, Plumhoff experienced a whirlwind two years where he played for four different teams before returning to the place where it started. He signed with the City Islanders but only played in one game before leaving the team to pursuing coaching opportunities back in his home state of Maryland. Since he first signed with the Ottawa Fury of the NASL in 2015 (they have since joined the USL), Ryan Richter has made it a habit of helping teams either win championships or reach championship games. In 2015 with the Fury, his club lost the NASL’s Soccer Bowl to the New York Cosmos. After a stop with the Bethlehem Steel in 2016, Richter was sold to the Cosmos mid-season. He helped them win the 2016 Fall championship and scored the winning penalty kick to win the Soccer Bowl. This year, Richter helped the Cosmos to another strong year, helping the club reach the 2017 Soccer Bowl, but this year, they fell short, losing 2-0 to the host San Francisco Deltas (who have since folded). 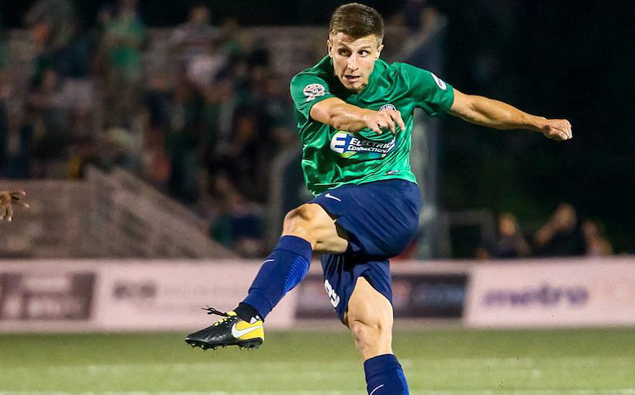 Richter started 21 of the 25 games he played in for the Cosmos, scoring one goal and dishing out two assists. Taintor was drafted by Toronto FC in the Third Round of the 2016 MLS SuperDraft but eventually signed with Toronto FC II of the USL. Taintor has made a big impression in his two seasons with Toronto FC II as he has taken on the role of captain. He was second on the team in minutes played last year, and this year he has started all 24 games that he has played in with two goals scored. After a breakout season with the Union in 2016, Tribbett found multiple roles with the club’s USL affiliate Bethlehem Steel FC in 2017. Tribbett played in central midfield and central defense and made 12 starts for Bethlehem, scoring one goal (vs. Richmond on July 22). Bethlehem made the USL Cup Playoffs with a 12-12-8 record. Tribbett also made one appearance for the Union, coming on as a substitute against the New England Revolution on July 2. After Chevy Walsh re-wrote the Nor’easters’ record books in 2016 en route to winning the 2016 PDL MVP, he chose to sign with the Pittsburgh Riverhounds mid-season rather than return to college. After scoring a goal in his first pro start at the end of 2016, Walsh came into 2017 with confidence for his first full season. Walsh played in 22 games (13 starts) this year and was the team’s second-leading scorer with five goals and two assists.